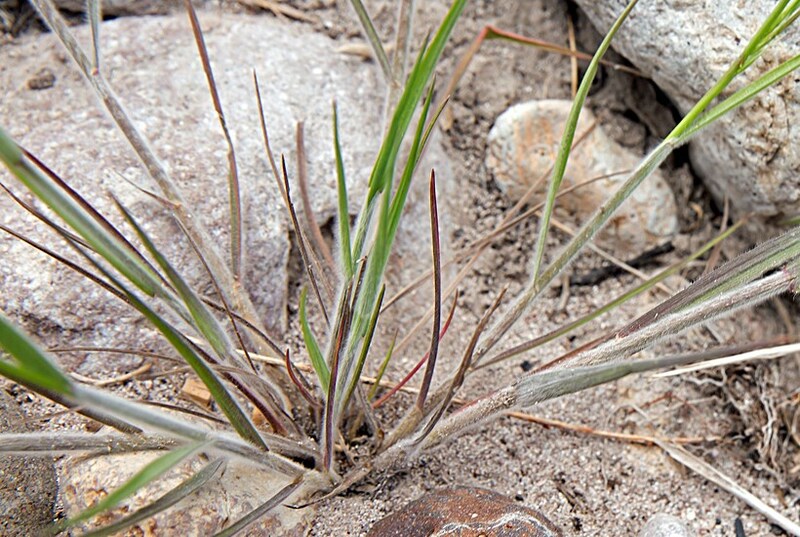 Bromus japonicus.© Neal S. Ratzlaff.Fontenelle Nature Asssociation.www.fnaturesearch.org (Accessed 4/2015). 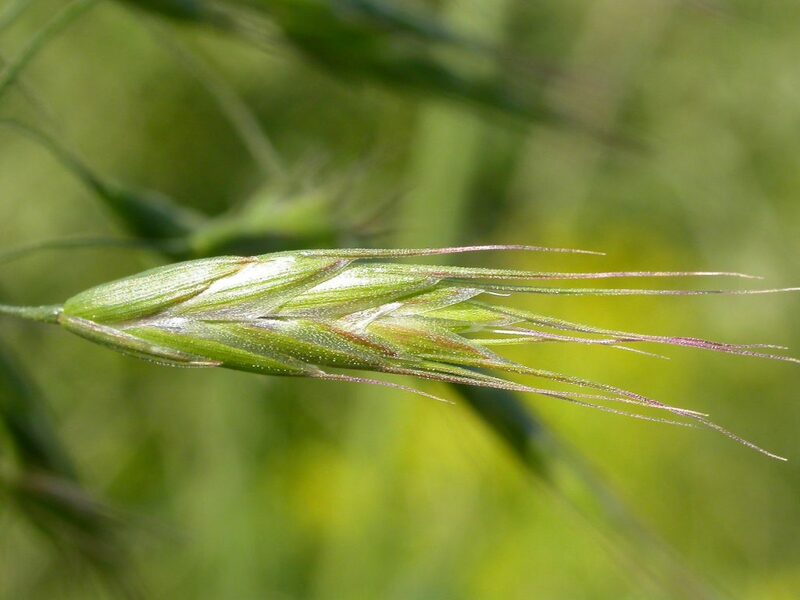 Bromus japonicus is an annual C3 grass (Williams et al. 2011), to 120 cm tall, (very similar to B. commutatus but inflorescence larger) sheaths closed, lower sheaths hairy; ligules to 0.2 cm, membranous. Bromus japonicus base of plant. ©Russ Kleinman, Bill Norris & Richard Felge/Vascular Plants of the Gila Wilderness/http-//www.gilaflora.com/www.wnmu.edu. Invasive Species Compendium. cabi.org (Accessed 11/2017). Leaves alternate, blade softly hairy, to 0.7 cm wide, shorter than inflorescence. Flower spikelets to 1.5-3 cm long, at ends of branches, 4-10 flowers; glumes much shorter than lemmas which are 0.8-0.9 cm, awn 0.7-1.2 cm, curved; inflorescence open, 4-15 cm, branches slender, drooping, as long as spikelets; blooming and fruiting June-Aug.
Bromus japonicus spikelet. (3860477029) commons.wikimedia.org (Accessed 11/2017). 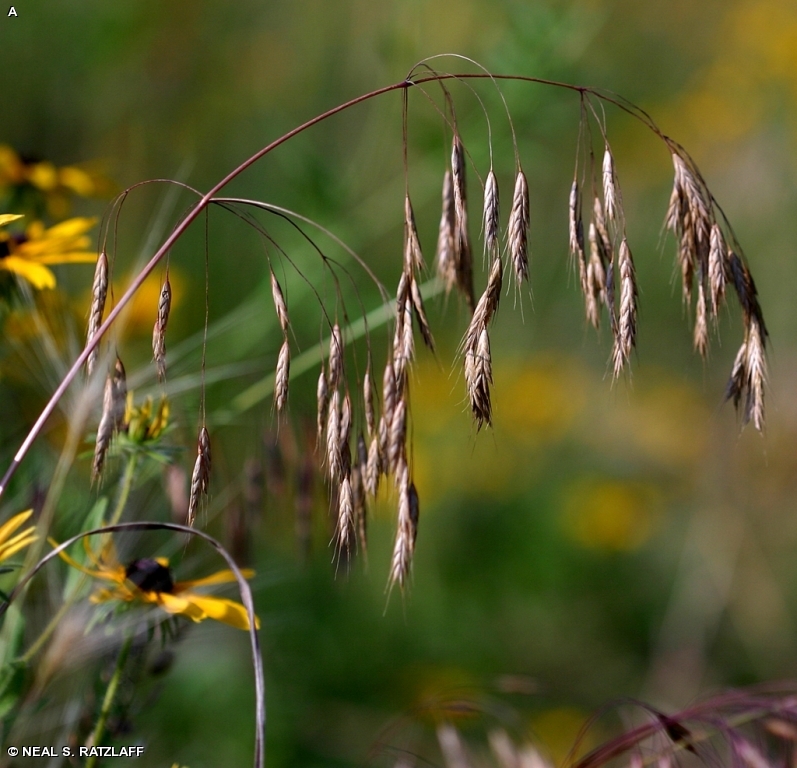 Habitat: Open areas, fill, roadsides.